About Auum Inc. is the starting of a relationship between health and culture, furthermore the history gives us insights into the learnings of something that was already known to cultures for hundreds of years. In the late 1990’s, research in Canada turned to Omega-3, as a result, an unique type of Omega-3 – DPA (docosapentaenoic acid) was identified. In 2003, a Canadian company, researching Canadian-grown Hemp Omega-3 oils became involved with seal oil as a potential support to its advanced hemp-based skin care formulas. This Company now known as AUUM Canada Inc., began to produce and market mammalian Omega-3 capsules. Further research and development by AUUM’s team of biochemists/researchers led to the sublingual method of delivery thereby improving its efficiency. The sublingual method proves to be most effective for absorption of the essential Omega-3s along with Vitamin D3. Oil based supplements provide for a good delivery system for other oil based vitamins. These essential vitamins or nutrients include Vitamin D, Vitamin A, and Vitamin E.
Learn more about the products. 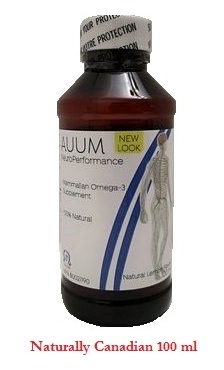 Buy the Auum Omega 3 products. 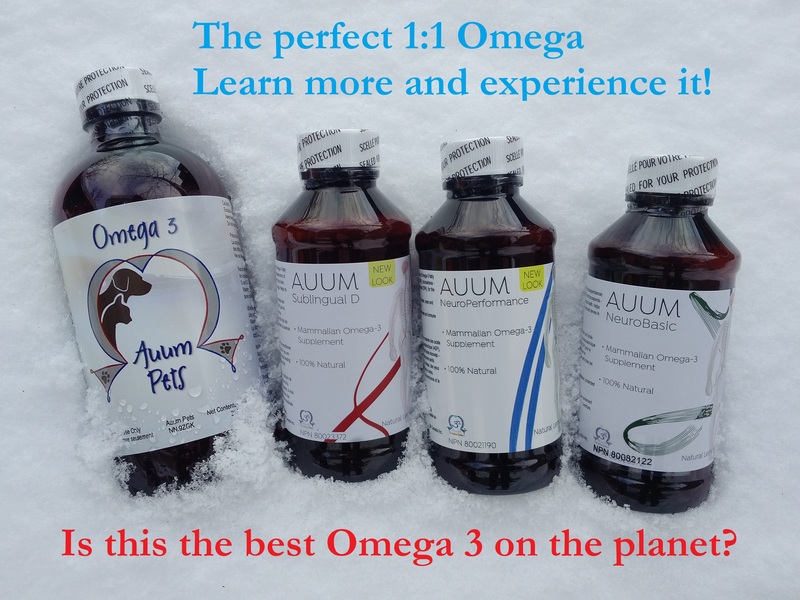 Through constant research, development and observation AUUM will bring the very best omega 3 products to the world in order to improve the health of everyone including our children, the future generation. Natural Product Numbers have been issued by the Natural and Non-prescription Health Products Directorate (NNHPD) for the AUUM Omega 3 products. The NPN inform consumers that the product has been reviewed and approved by Health Canada for safety, efficacy and quality. Therefore, all of AUUM’s products meet and exceed the stringent standards set by the Directorate in regard to PCB and heavy metals. AUUM’s offices and manufacturing facilities are located throughout Ontario, Canada. Provide education on the various Omega sources and their differences. Education provides the people a choice to select AUUM Omega 3 or seal oil for improving their health. Provide AUUM Omega 3 products to people around the world which begins in Canada. The information will be supporting the health care practitioners, health food stores and informed customers. People deserve optimum well-being.